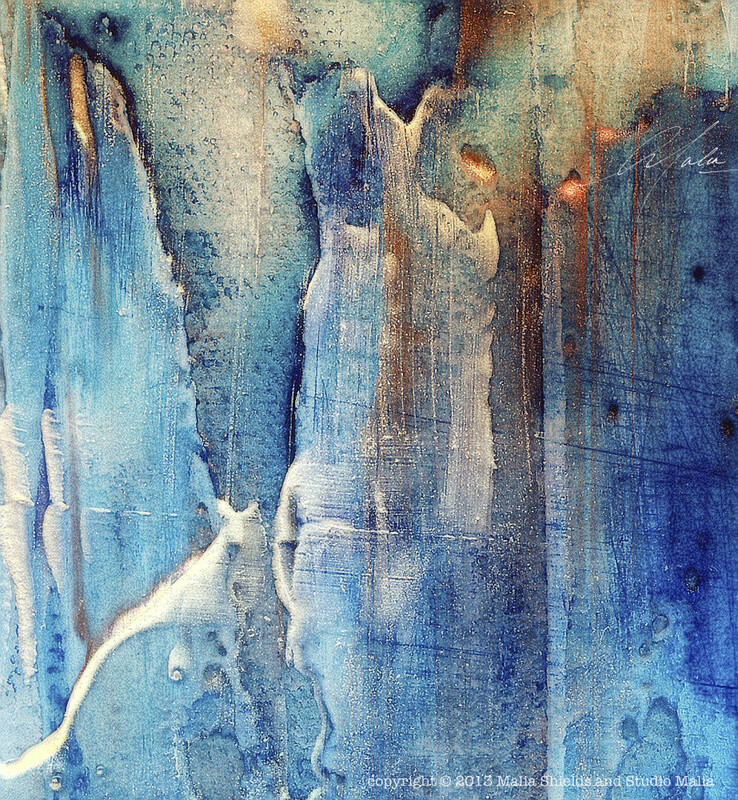 The Blues series is a heavily textured piece, painted on stretched canvas in multiple layers and media. The Blues series 5/5 version 2 is a heavily textured piece painted on stretched canvas in multiple layers and media. I found this little section so intriguing when I spotted the diagonal line and form that represented so well a mountain top and its majesty.